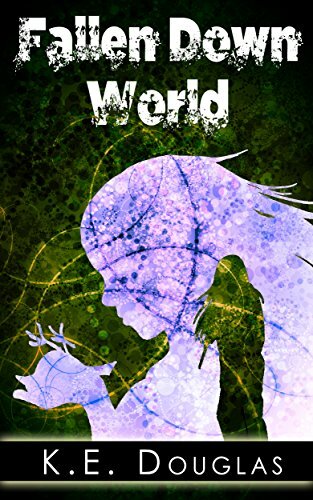 Fallen Down World – my Novel is here! Many years ago (MANY – back in the 80s and 90s), I tried very hard to try to get some stories published. I couldn’t get an agent to read anything and I couldn’t get a publisher to read anything if I didn’t have an agent. It seems that back then, they didn’t think there was a market for Young Adult novels with teenagers as the protagonists. Until J. K. Rowling came along with her Harry Potter series, it was a struggle to find anything for the YA market that wasn’t from the 50s and 60s. I pretty much gave up writing. But a little over a year ago, and inspired by my fiance, who has had his short stories published in a few anthologies, I decided that the stories in me just needed to be written. I published a short story in 2012, and shortly afterward, began writing the story I’ve always wanted to read. Enter my new book, which just went live on Amazon Kindle yesterday. I’m so excited about this – I’ve always loved survival stories, whether they be due to an accident or a post-apocalyptic event (my book is the latter). Here is the link and the blurb. Florida was supposed to be all sunny beaches and Disney World, the perfect vacation. Instead, fifteen-year-old Dani is the only member of her family not struck with a ferocious new flu. Now the only part of Florida she cares about is the road out. Home is what her family needs, but home is a thousand miles away. Dani’s family aren’t the only ones who are sick. The hospitals and highways are littered with the dead and dying. Dani is soon adrift in a world where she struggles to find food and fuel as she tries to get her family home. In this terrifying new world, every stranger is a threat and each mile is a battle. But home isn’t the salvation Dani hopes for. Now, she needs to survive in a world that will never be the same.